Ragnarok'44 for IFA3 - Welcome to the Iron Front Fan Forums! Iron Front in Arma2CO (IFA2) conversion now ported to Iron front in Arma3 IFA3! 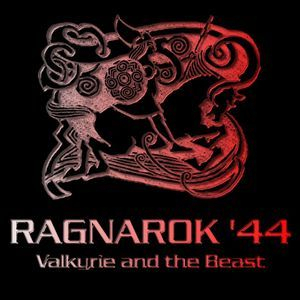 Create your own Ragnarok'44 missions on the fly, and on any map! Found and fixed error with heavy/very heavy tank allocations (AI was affected too - mistakes in function names). Now, when you buy in Logistics HT/VHT allocation, go to the tank factory, additional tank button(s) should be visible now for Tiger (HT) and/or King Tiger (very HT). Driver's seat is unlocked now again, as this method to keep player inside failed anyway, and clicking on the vehicle should make you group leader instead of driver (if driver was a group leader, nothing changes). Still "not disembark the crew" iron rule is valid. Pity, that you cannot change seat in the tank without disembarking, this spoils the only hope to swap role in the tank. Stay inside or do what you want on own risk. and work in Arma2, thanks man! terms of linking files on my website's (MR) storage. you run into something please help me and Rydygier sort them out by posting your feedback and info on what you ran into, screenshots, rpt, vid helps. If you have ideas for more features, your feedback is appreciated! Also I am still working on adding things to the thread itself so if you see changes then you know. and will be recording a video for each mission as well. Coming to Steam workshop too! and or changes to the thread there. please note that there may still be some issues with the mission/mode so if you think you have run across any please report them here! All missions Zip & Steam workshop have been updated with the latest version. See Bis forums release thread for the latest download! really nice to see - much kudos to Rydygier! Ya his work fixed the major issues the mission had, now its finally playable again and with a challenge! I have several missions you can download and check out which are also on steam workshop. I plan to start building a new mission soon again for it, but check it out, any questions, ask here or on the linked thread. Fixed the ingame camera as it was to fast, almost uncontrollable, and made missions unplayable - (whats fixed is when you move your cursor to end of the screen the camera moves). Updated all missions on the workshop, and all downloadable zips with new camera fix aside other updates. Paros Front had markers added, Strategic point positions were adjusted, and various new wrecks added. Battle for Staszow - had its markers changed to black as with red they were almost unreadable. and i can update the mission you are playing, or can tell you what to change. Build more missions on the new maps that IFA3 now has, so there is alot more diversity in choice, no longer are we stuck with the maps just from IF itself. Record short tutorial videos on various aspects of the mission, such as camera controls, how to "incarnate" into soldiers, tanks and vehicles, how to load/unload soldiers from vehicles, upgrade your forces, and many other things related. i found it rather annoying after a while chasing the camera all over the place, this was a long overdue fix. Thanks again my friend for making this series functionally fun to play again! Update - New mission release! Hello Ragnarok'44 and Iron Front in Arma3 Fans! We start off building a mission on the Neaville (I44) Map, then playing it. forces to Neaville to capture any strategic points, the Soviets will have a few SP's already captured. This mission is very challenging, acquiring SP's and holding them are crucial to winning for building your forces in this one. get them out and then focus on taking out the Soviet Base, and taking any SP's you haven't captured from there. challenging mission i built and played, i still beat it but the Soviets put up a fight! and a link to Steam Workshop on the OP. Next new mission i will be starting this week! All downloads linked in the 1st post! Update - New Winter Conversion Mission Release! I have a new mission for you, this is the 2nd mission in my Build and Play Video series for my Utube Channel for Ragnarok'44. This new mission was 3 weeks in the making, i had to learn how to convert regular IFA3 units to a winter in Ragnarok's coding and scripts, thanks to Rydygiers help. Along the way i ran into a number of errors, things i had to adjust to make work and work better. This guy was wounded 6 times! place in a village held and occupied by the Germans. that he would shoot into the horde create a massive hole, which would soon fill up again with more soldiers, the Russian infantry were accompanied by tanks. The story i found rather an insane read of the many details, but that was but one story in many in the book. are within their reach, allowing them to capture them quickly and build their forces to staggering numbers. and eventually destroy your base winning the mission. Here is a video i recorded on the 4th, i couldn't finish the mission when i was recording it as it got to late and i had to get to bed, made a note at the end of the vid about that. Video shows me building the mission, and then playing it, i made note before i was about to play that i made some further adjustments to the mission. The video does not represent the released build of the mission as i added a couple more things to it before it was released. Depending on your skill this mission is not meant for beginners to the series, you have been warned! Mission can be downloaded via zip, and its also on Steam Workshop, all listed on the OP (1st post of thread)! Fixed the sd.kfz.7aa winter not spawning from garage. Fixed Sniper was not spawning with winter uniform. Removed 1 two tank squad as it made the start of the mission very difficult to get far. Changed Soviet Classnames to their base names for the Mortar, & Antiair statics as there was no winter version, these 2 statics should now spawn if the Soviets decide to spawn them. Adjusted the positioning of the Soviet 61k Antiair static so it sits in the trench in the center and not floating. Fixed the Soviet AT Gun as it was buried halfway in its trench and could not acquire, nor shoot at any targets. Added a few squad, and tank trenches to the village in front of the German Hq.- Adjusted fog, & wind a little. Steam workshop and zip on the OP has been updated! version (1.1) with a pbo and unpbo'd folder for the editor. - Added Snow Script, so now when your playing it will be snowing. - Added Breath Fog Script, its cold out and you can see your breath. - Adjusted weather a little to work with script. - Added more vehicle, and tank wrecks. - Added a few more trenches to the LenartWoice Village. - Changed the HQ Building the Officers are at to a winter version. - Changed the Starting German soldier to a Private 1st class which carries a G43 Semi rifle. - Changed one of the starting tanks for the Soviets to a JS. - Rydygier for adjustment in snow script in code, and support. Steam Workshop and zip updated on the OP. Now converted to a winter version, i have a video i put together, part of my Ragnarok'44 Build & Play series converting the mission, i play a little but its mainly an overview. OP was updated with links for download with zip & Steam workshop! More existing Ragnarok'44 winter conversion missions coming! Also want to thank Rydygier once again ....for his continued support, advice, tips, and information on code for Ragnarok'44!